Delinquent tax returns should be filed immediately, even if you cannot afford to pay the taxes owed. The longer you wait to file your returns, the more interest and penalties you will accrue. (A return is delinquent if you have not filed it by the due date and did not receive an approval for a filing extension.) These combined penalties can be as high as 25% of the taxes owed! You Can Run, But You Can’t Hide From The IRS! Just because the IRS has not contacted you does not mean they have missed your failure to file. The IRS has the power to, in effect, prepare and file tax returns for you whenever you don’t file. It is not to your advantage to have the IRS do this, as they will use the highest tax rate applicable when they prepare your unfiled tax return for you, and assess penalties and interest on the liability filed by them, not you. It’s better to file before the IRS contacts you. If you have not filed a tax return for a year or more, it is never too late. A long-standing practice of the IRS has been not to recommend criminal prosecution of individuals for failure to file tax returns, provided they voluntarily file, or make arrangements to file before they are contacted by the IRS. If you cannot pay your back taxes in full but could potentially pay them back over time, you can negotiate a reasonable monthly payment plan with the IRS. Once an IRS Payment Plan (also known as an Installment Agreement) is established, the IRS will not enforce collection action, including the levy of bank accounts or wages, as long as you remain current with all filing and payment obligations. If you or someone you know has fallen behind on their tax filings, we are here to help! We offer huge savings on filing delinquent tax returns. We also work with the IRS and Minnesota Department of Revenue to remove any wage levies and garnishments as well as assist you in setting up a payment plan. 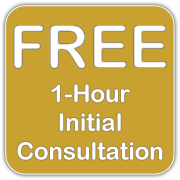 Our philosophy is that if we can help you get back on track with the IRS at a minimal cost to you, we will have created a client relationship for life. Don’t overpay the IRS or MN State Dept for delinquent tax returns. 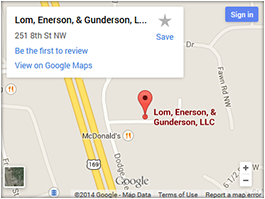 Talk to the experts at Lom, Enerson, & Gunderson Tax Services today, and find out what you can to do resolve your back taxes and avoid IRS penalties.